2019, November 1 – November 13 – This trip will sell out. 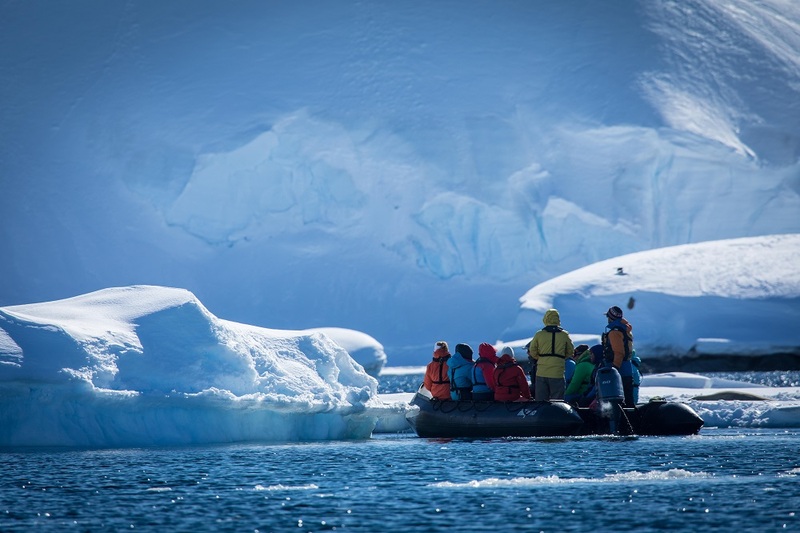 Join Bill’s Trips guides for a 13 day trip of a lifetime to ski, snowboard, trek or kayak the incredible Antarctic Peninsula. 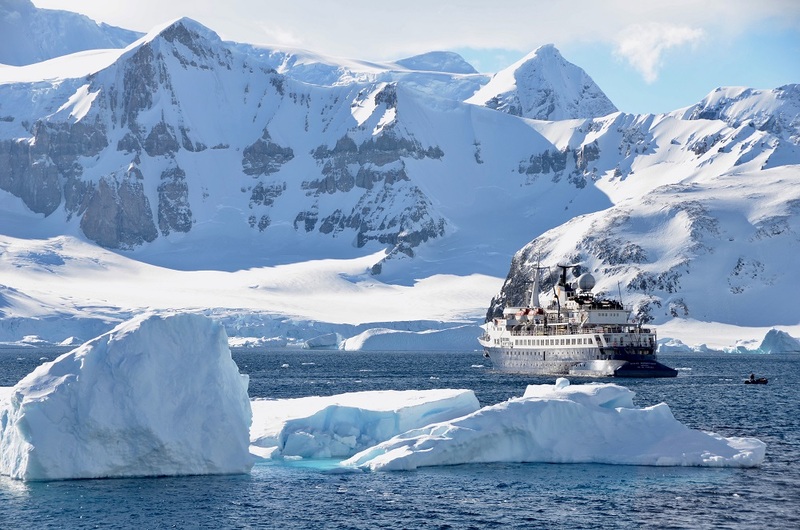 Board your luxury Antarctic cruise ship in Ushuaia, South America, then set sail to explore and ski the amazing mountains and glaciers of the white continent. Bill’s Trips have partnered to offer you the most amazing experience on the planet. “I feel blessed to have guided guests on this adventure for the past 3 years, and am sooo looking forward to getting back down there in 2018!” – Bill. How fit and experienced do I have to be? 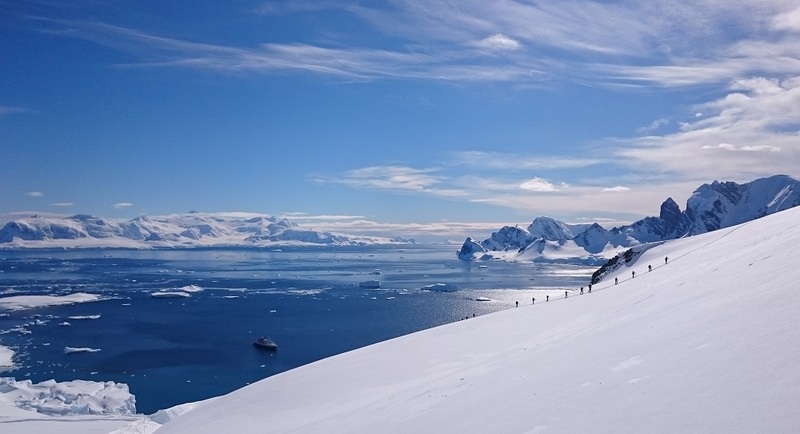 If you can comfortably ski an easy black run in your resort back home, and are fit enough to walk up a sand dune at the beach, then you are capable enough to ski or board with the penguins on the Antarctic Peninsula. There is terrain to suit all abilities and you can ski as little or as much as you like. Some groups like to cut laps all day while many opt to do a run or two and spend the rest of the day experiencing everything else on offer. You do not even have to be a skier or snowboarder to join this trip, as there is also the option to kayak, trek, and take zodiac excursions. Or just relax and take it all in from the luxury of the ship. Do I need to have Back-country experience? It is not necessary to have any back-country experience before booking the trip. The equipment is very easy to use and you will learn all you need to know before boarding the ship. Either in Ushuaia on the day before departure or we can arrange training days during the Australian winter for our Australian guests. Bill’s Trips have a small fleet of backcountry skis and safety equipment available for our guests. Like anywhere, the weather is changeable. It can be beautifully sunny and calm one day, and snowing, windy and wild the next. However with many islands, bays and sheltered zones there is usually somewhere that is protected, and the long hours of daylight allow for us to move the ship to the most probable fair weather zone to get ashore. The temperature usually hovers between -5 and +5 degrees Celsius during the day. The sun is very intense on the clear days, and wind chill can be a factor in the exposed areas. 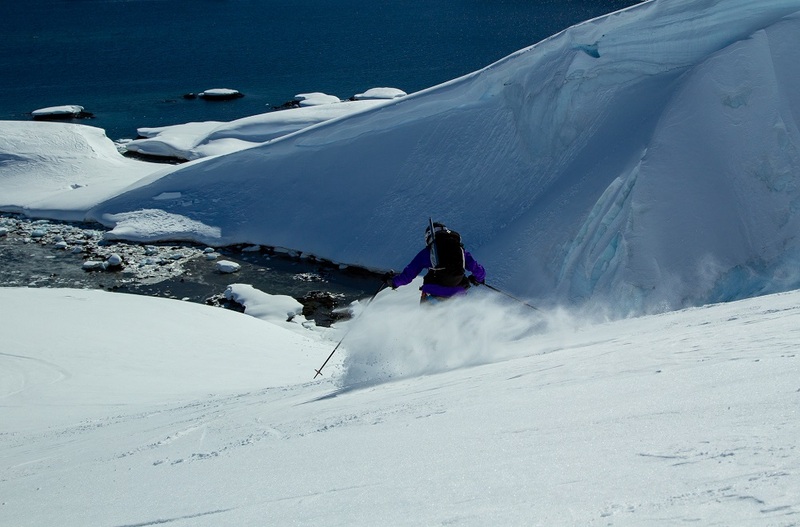 You do not go to Antarctica to chase knee deep dry powder….but we have had it! More commonly, the snow varies from smooth shallow dry powder to really fun spring snow…and everything in between. The elevation, aspect and current weather determine the conditions but the guides are all experts at finding the slope with the best quality snow on offer each day. The trip Itinerary is very dynamic once we reach the Antarctic waters. This is to ensure we are placed in the best possible locations given the prevailing weather. The ship’s captain, expedition leader and chief ski guide are constantly assessing the conditions to make sure you have every opportunity to ski, trek and kayak. None of these trips have the exact same itinerary however they all take advantage of the available bays, islands and terrain to shelter from any bad weather, and it is likely that you will ski every day. The sample itinerary below showcases some of our most visited destinations. Expect to explore these areas and elsewhere, as determined by the weather, ice pack and snow conditions. Day 1 – Arrive in Ushuaia, Argentina, South America. Orientation and pre trip skills training on the nearby Martial Glacier overlooking the peaks of Tierra Del Fuego. Welcome Dinner. Overnight in Ushuaia. Day 2 – Board the Ocean Adventurer and set sail down the Beagle Channel. Day 3 – Cross the Drake Passage. Sperm, fin, and humpback whales, along with skies of seabirds will accompany our journey. Day 4 – Sight icebergs, then land, and arrive to the shelter of the South Shetland Islands. Ski and Trekking objectives on Livingston and Deception Islands. Day 5 – Ski and trekking objectives at Neko Harbour. Zodiac cruises, penguin rookeries, hiking. 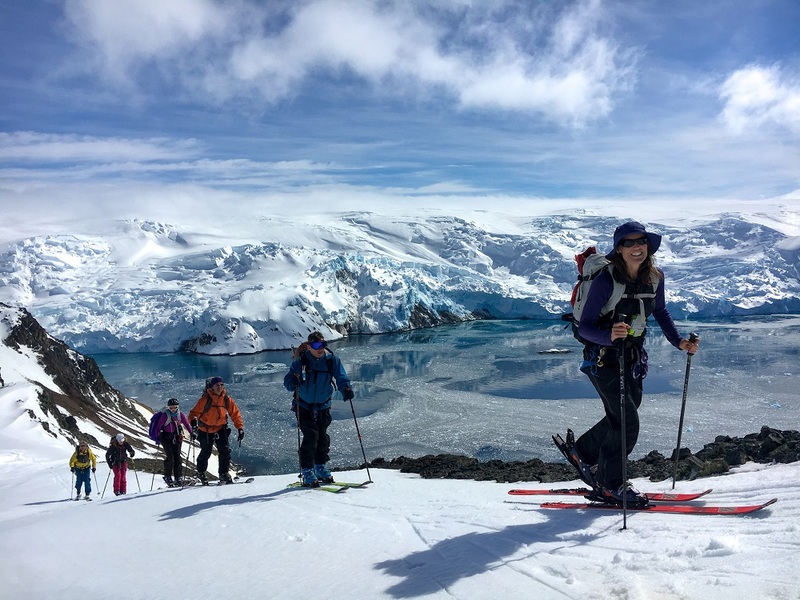 Day 6 – Ski and trekking objectives at Anvers and Wenke Islands. Port Lockroy scientific base and museum. 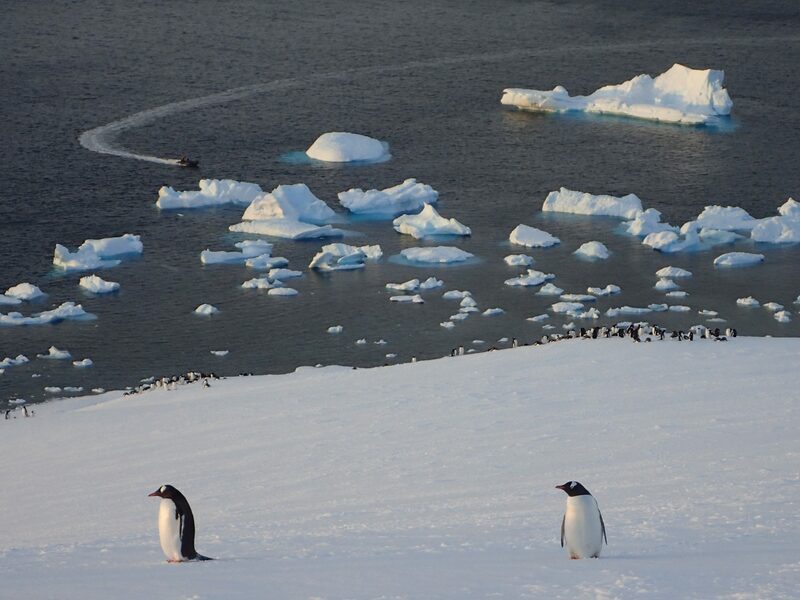 Visit gentoo and adelie penguin habitat. Day 7 – Ski and trekking objectives on Ronge Island/Mt. Britannia. Visit penguin rookery at Georges Point. Day 8 – Ski and trekking objectives in Paradise Bay. Zodiac excursions.Visit penguin rookery and Almirante Brown Station. Day 9 – Lemaire Channel/ Mt. Scott/ Mt. Demaria/Mt. Mill ski descents. Visit the Ukrainian Vernadsky scientific station. Killer whale and leopard seal sightings. 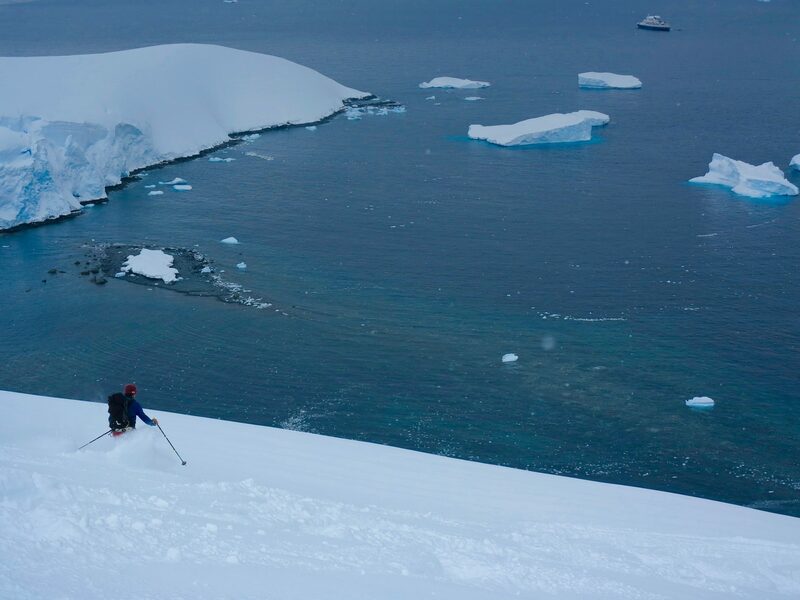 Day 10 – New ski descents and nature cruises of Charlotte Bay; begin journey north in the evening. Day 11/12 – Sail Drake Passage; pass the dramatic cliffs of Cape Horn. Day 13 – Disembark the Sea Adventurer in Ushuaia, Argentina. 1 night pre-expedition hotel accommodation in Ushuaia, Argentina including breakfast and welcome dinner. 1 day of pre-expedition orientation and training by your guide on the Ushuaia glacier. Breakfast, lunch, dinner and all snacks aboard the Ocean Adventurer. Shore landings and Zodiac excursions. 4 to 1 ski guiding ratio. Presentations by the Expedition Team including marine biologists, historians, geologists and other Antarctic experts. Expedition certificate and photographic DVD chronicling the voyage. Contact Bill for more info on this incredible experience. This trip will sell out, with the cheapest births usually the first to go. Secure your spot early to avoid disappointment! Ready to Book your adventure of a lifetime? 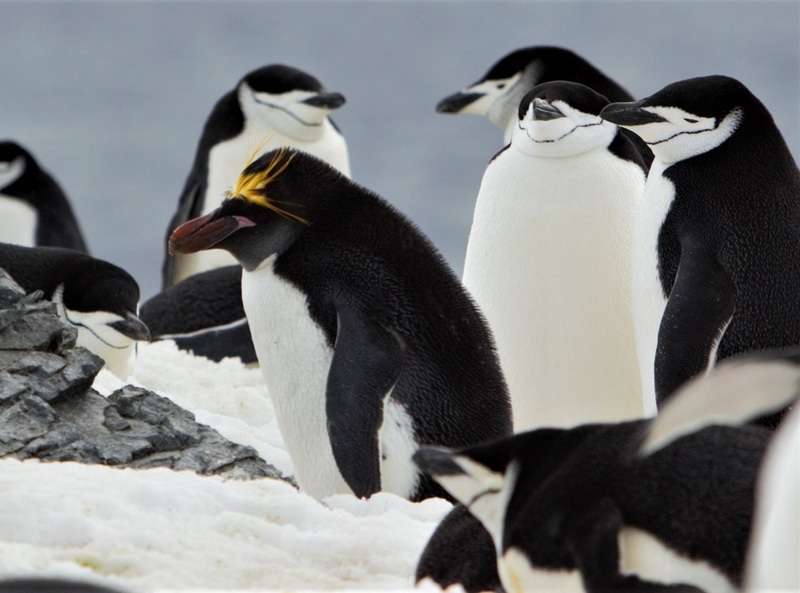 Send us an Expression of Interest and we will get back to you asap, and you will then be on your way to ski with the penguins of the Antarctic Peninsula! The Best Trip in the World!